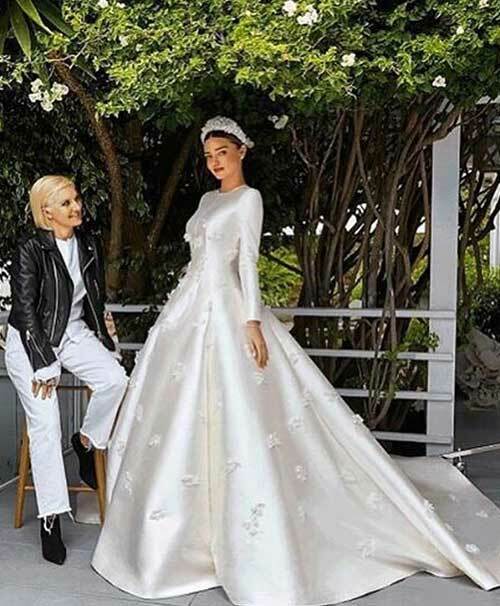 Celebrity wedding dresses are our muse. The first thing we all do as brides-to-be is to look through wedding dresses that our role models or style icons dolled up in – because there lies our inspiration. Skimming through these albums is our way of vicariously living through fairytale weddings of our times. 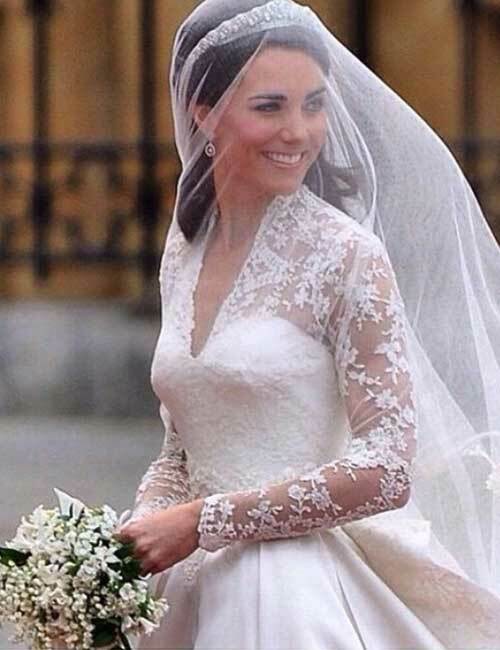 No wonder Kate Middleton’s wedding dress remains the most sought after wedding dress ever. From Kate to Serena and more, let’s look at some of the best wedding dresses that left an impact on all of us. Get ready to enjoy this beautiful ride. 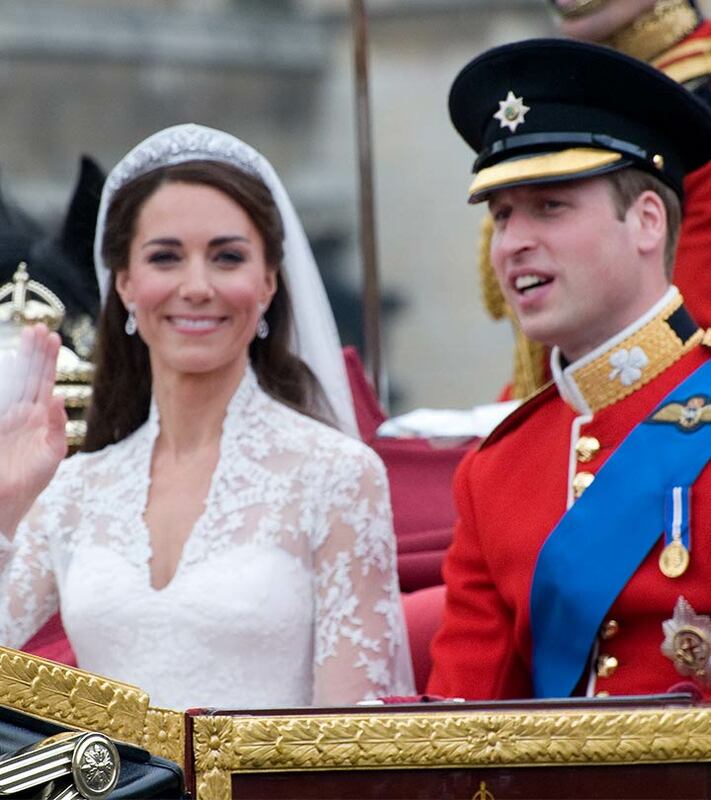 The Royals and their weddings have always been a muse to the world. 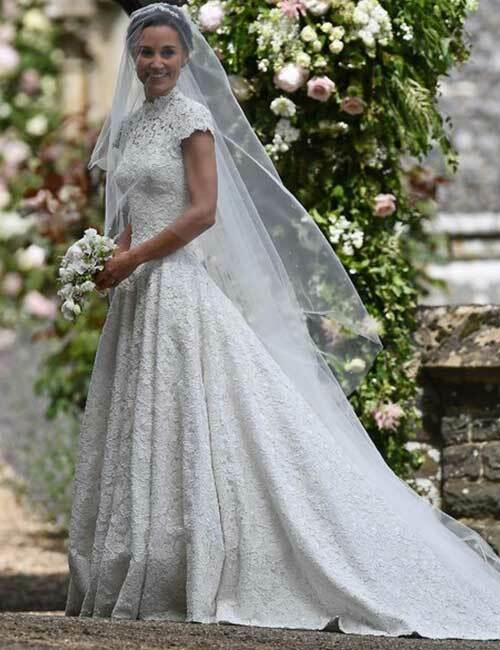 Sarah Burton Of Alexander McQueen designed the dress that The Duchess Of Cambridge, Kate Middleton, wore. She brought the full sleeves back to the bridal lines, and many brides followed after. Pippa Middleton’s wedding was the most awaited wedding that year, and people couldn’t wait for her to show up on the D-day finally. She came about wearing a lace dress in all its glory. Designed by Giles Deacon, the high neck dress won all hearts. 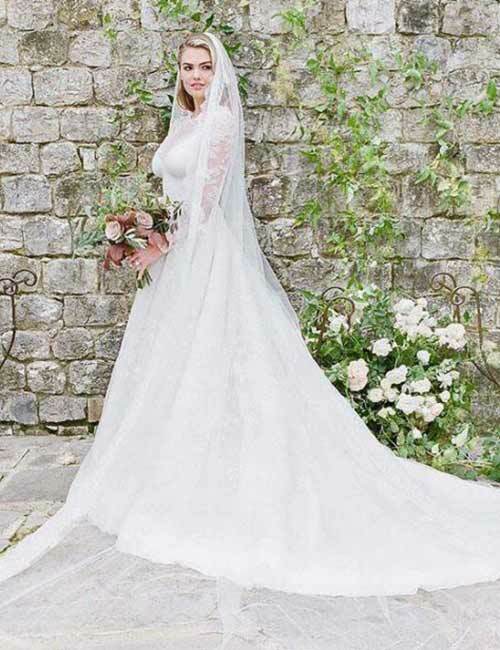 The accompanying handmade bespoke tulle veil, by Stephen Jones, was truly platonic. Jacqueline Kennedy’s dress was by New York’s designer Ann Lowe, who was responsible for creating this gorgeous portrait neck satin dress for the then Senator and later President John F. Kennedy. It is one of the most iconic wedding dresses ever. Serena Williams’s ball gown lace dress is yet another masterpiece by Sarah Burton of Alexander McQueen. Her dress is what all wedding dreams are made of. Angelina Jolie is known for her simplicity and earnestness, and that’s what her wedding dress was all about, too. The silk-satin gown by Atelier Versace was elegant and flowed beautifully. 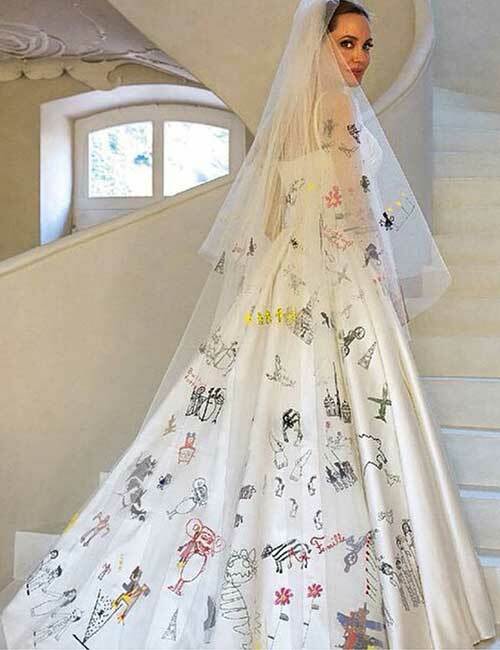 However, the veil that features the drawings of her kids was the showstopper. It comes to prove that you need to be honest and do what defines you the most on your big day. There aren’t very many pictures of Beyonce and exclusive photos of her wedding day. But we are glad we could chance upon a few pictures to get a sneak peek into what her bridal gown looked like. 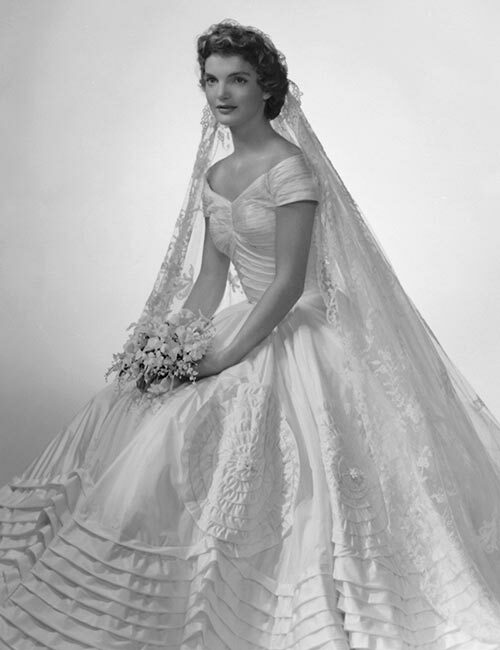 Her mother designed the satin gown that had a sweetheart neckline and a fit and flared cut. She paired it with a simple tulle veil. Some reports later surfaced that Beyonce was not thrilled about her wedding dress; she might as well have not bothered because she is Beyonce, and anything she does is an inspiration to women world over. Kate Upton dazzled and looked like a dream in a Valentino sheer dress. The dress fit the theme for her private Tuscan wedding, and who better to design the dress than a designer who knows how to do it the best. The frothy lace dress with applique work and the sheer bodice that trickled down to her full sleeves is just beyond beautiful. Victoria Beckham’s bridal dress is one of the best in the history, but it’s hardly surprising. The champagne colored strapless-floor-sweeping dress and the diamond-studded tiara is indeed an inspiration to many brides – and you can see why. Miranda Kerr’s dress inspiration was Grace Kelly’s wedding gown, which is one of the most iconic bridal gowns. She collaborated with Maria Grazia Chiuri from the house of Dior to create a design that replicates the style of icons like Grace Kelly, Audrey Hepburn, and her grandmother. The overarching full-blown gown was filled with applique lilies and full sleeves. 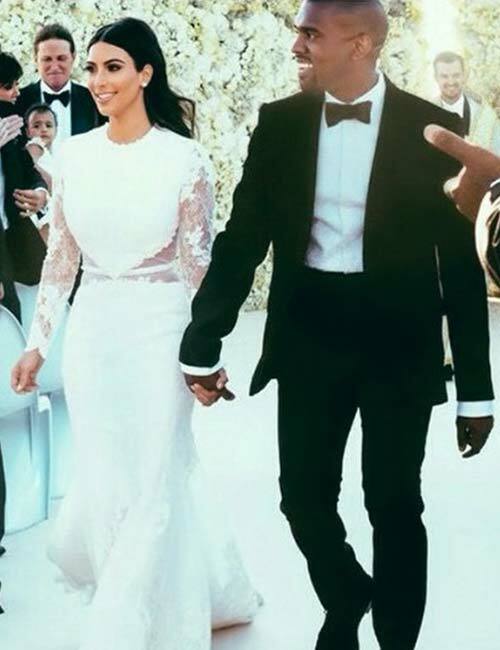 Riccardo Tisci designed Kim Kardashian’s gown from Givenchy. He was the designer for her 2013 Met Gala gown. He has been creating designs for the little Kardashian sister Kendall Jenner too. Kim being the star she is, won hearts and left people with their jaws dropped as she made the first appearance in her dress. 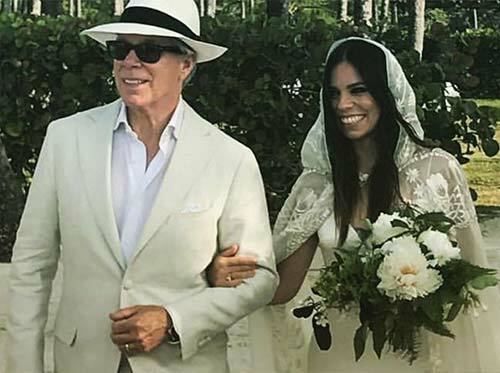 Ally Hilfiger’s dress was a custom design by her father Tommy Hilfiger and was a perfect fit for the private beach ceremony. It was merely a silky form-fitting V-neck dress with a big lace veil that looked stunning. After all, they know how it’s done. Portia de Rossi and Ellen DeGeneres are the true testimony of love and all happy marriages. Rossi wore a dress by Zac Posen while Ellen wore a signature pantsuit. Portia’s halter neck-backless-tulle ball gown dress in peachy pink shows that dresses always do not have to be in white. Victoria’s dress and her wedding will be etched in our memory forever. When you come from an empire that predominantly makes jewelry from crystals, it goes without saying that the dress will be about that too. The ball gown style lace and the sheer dress was designed by Michael Cinco who has some big names attached to his name. It was a whopping 1 million dollars and 46 kgs, but none of this comes as a surprise. 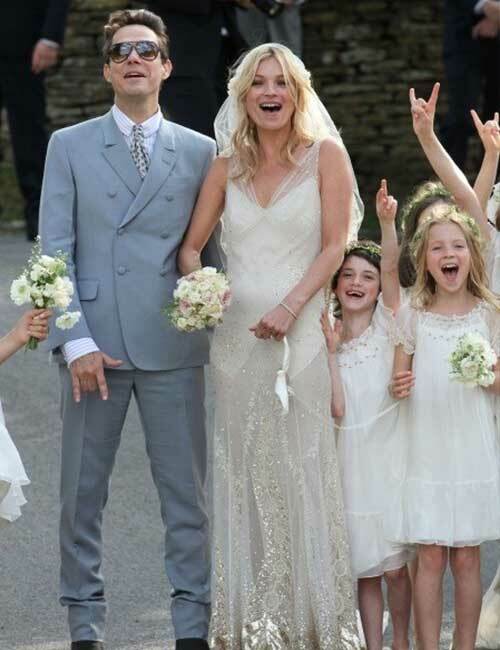 The 1920s style silhouette inspired Kate Moss’s Bohemian style wedding. The dress designed by John Galliano was all about sheer overlay, gold accents, and vintage details. Gwen Stefani’s ombre bridal gown redefined everything we knew about weddings and dresses. 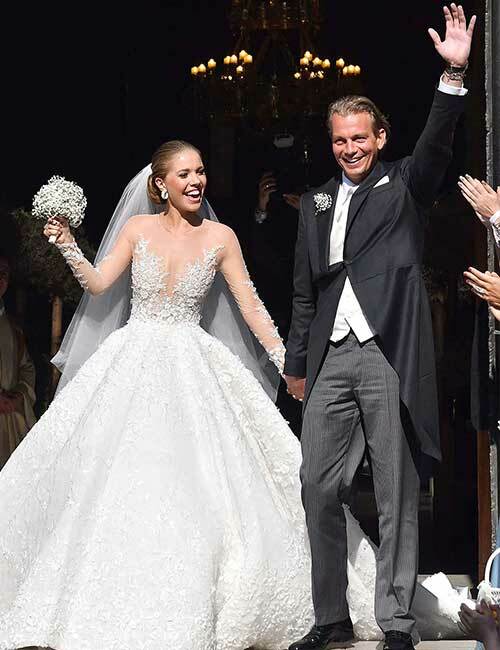 She walked down the aisle dressed in a John Galliano for Dior dress, which left a trail and a million hearts fluttering. Stop-and-stare is more like stop-and-cannot-stop-staring with this catalog. We can never get enough of weddings, dresses, and everything bridal. 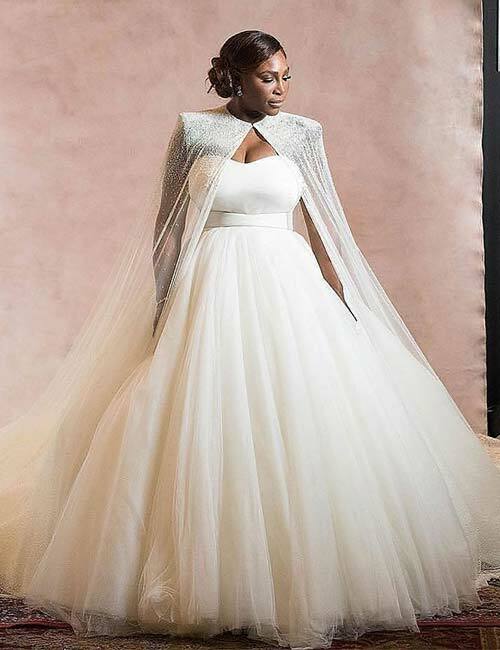 And, thanks to some of the celebrities that break the stereotype of what a wedding gown should be like, we get some much-needed inspiration to break free too. Which one was your favorite among the celebrity wedding dresses listed above? 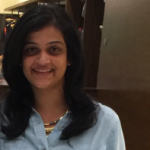 Do you have a dream wedding gown? Let us know by dropping in a text in the comments section below.